Over the past 30 years since her graduation from the University of Georgia School of Law, Janet E. Hill has developed her expertise in civil rights, employment, and workers’ compensation litigation. 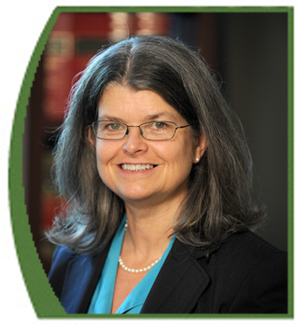 She has successfully represented hundreds of plaintiffs in all federal district courts in Georgia, the Eleventh Circuit Court of Appeals, and various superior courts. Even while attending law school, Ms. Hill worked as a law clerk assisting a local law firm in class-action litigation on behalf of African-American employees against the Westinghouse Corporation. By the time the record multi-million dollar settlement was reached ten years later, Ms. Hill had become partner in one of the law firms. This case and the clients she represented shaped her career, teaching her the values of perseverance and hard work, necessary values in the fight for justice and enforcement of her clients’ rights. For example, in 1995, Ms. Hill succeeded in nullifying the corrupt mayoral election in Jeffersonville, Georgia on behalf of the first African-American woman to run for mayor in that town. Her former client is now the mayor. She has obtained substantial settlements, in addition to obtaining substantial jury verdicts on behalf of her clients. While most settlement amounts are confidential, Ms. Hill’s efforts have resulted in her clients receiving substantial monetary and non monetary relief. Most recently, she has obtained a settlement of $150,000 against the Board of Regents in a gender discrimination case. Jury verdicts include Brooks v. Board of Regents, which resulted in the client being reinstated to her faculty position and awarded substantial monetary damages; Belch, et al v. Board of Regents, which resulted in the clients being given substantial pay raises, as well as compensation for past gender based pay inequities; Reyna and Ortega v. Pilgrim’s Pride, in which two former Human Resources employees successfully sued and received substantial damages after they were fired for reporting fraudulent activities in their department; and Swift v. Total Health Clinic, Inc., et al., in which her client was awarded substantial compensatory and punitive damages arising from her termination after complaining of sexual harassment and after being subpoenaed by her boss’s estranged wife to testify in her boss’s ongoing divorce action. Ms. Hill’s appellate advocacy has resulted in developing Eleventh Circuit law under the Family and Medical Leave Act in the case of Hurlbert v. St. Mary’s Health Care System, Inc., 439 F.3d 1286 (11th Cir. 2006), which established the legal steps a plaintiff must take to prove a violation of the FMLA. Though Ms. Hill’s practice focuses on litigation, she recognizes the value of parties resolving legal disputes without trial whenever possible. Trained at the W.J. Usury, Jr. Center for the Workplace at Georgia State University, she serves as an arbitrator and mediator for the U.S. District Court for the Middle District of Georgia, the State Bar of Georgia’s fee arbitration program, and private parties in employment-related matters. Ms. Hill also recognizes that employers can avoid claims of employment discrimination and other violations of employment laws by having fair and equitable employment policies. She provides consultation services to small employers to assist them in developing personnel policies and procedures appropriate to the individual business and industry and which comply with applicable laws. For the past five years, Ms. Hill has been selected as a SuperLawyer in employment law by Atlanta magazine and in 2009 she was also named as one of the top fifty women lawyers in Georgia among those recognized as SuperLawyers. Ms. Hill’s advocacy is not limited to representing clients. Throughout her thirty year career she has been active in organizations such as the Georgia Trial Lawyers Association and the National Employment Lawyers Association (the only national group of attorneys dedicated to representation of individuals in employment matters), volunteering thousands of hours of time to scholarly, legislative and educational activities designed to protect existing employment law and to advance more worker friendly legal theories and laws. These activities include writing amicus briefs; presenting educational seminars to attorneys, employees and employers on developments in employment law; and meeting with local, state and national public officials on employment related issues. Ms. Hill served on the Executive Board of the National Employment Lawyers Association for more than a decade and was NELA’s President for two years from 2004-2006. In her role as President and thereafter, Ms. Hill frequently has been consulted and interviewed by the media on employment law related issues. She has appeared in such diverse media outlets as the Wall Street Journal; National Public Radio’s weekly radio program Sound Money; weekly news magazine, U.S. News and World Report; weekly law publications, Lawyers Weekly, LawCast, and Lawyers USA, New England IN House; and Chinese Language Newspapers, Sing Tao Daily, The China Press USA and World Journal, among others. Ms. Hill continues to be active in NELA, serving on various committees, including the Convention Planning Committee for NELA’s 2007 and 2008 Annual Conventions. In 2003, Ms. Hill was selected for membership in the College of Labor and Employment Attorneys, which honors labor and employment practitioners who are vetted for their legal skills, their reputation among the bar and their high legal standards. Ms. Hill also served for three years on the 11th Circuit Credentials Committee for the College.